If you’re planning a Paris move, want to relocate to Rennes, or even if you are taking a French holiday then you might want to take your car with you. If you are moving to France or already live there but want to import a vehicle, then your best bet might be hiring a car transport service, if just going for a short trip it’s probably better to drive there. Here’s what you need to know about taking a car to France, whether you’re importing permanently or just on vacation. Registration: Only residents need register their cars, so if you’re going to be in France for more than 183 days (that’s half a year to you and me) then your vehicle must be registered. This could also apply if you are employed in France, as you may then be classed as resident. The Préfecture (the administrative headquarters for the French districts) can handle your registration when you arrive, so make sure you know which one is closest. Private vehicles can be used for up to 6 months in any year, so taking a driving vacation is OK, as long as you stay for less than the half year period. Importing: Like in many EU constituent countries, car imports to France are duty free for used vehicles provided that: VAT has been paid in the country of purchase, the vehicle is at least half a year old and has been driven more than 6,000 kilometres before its entry to France. New car imports: If you intend to bring a new vehicle into France (that doesn’t conform to the above criteria) then you will need to pay Taxe sur la Valeur Ajoutée (French VAT) unless you have proof of original VAT payment and foreign registration. You will also need: To take the registration documents and original sale receipt to the Centre des Imports to receive tax clearance. Your vehicle will also need to pass an EU or French conformity test from the Direction Régionale de l’environnement. Autos older than 4 years will need to pass a roadworthiness test (like an MOT) less than 6 months before its importation. Applications for importation need to be tendered to the local Préfecture, the form you’re after is the Demande de certificat d'immatriculation d'un véhicule. You will need all of the obligatory documents, like ID, residency proof, car manufacturer details, customs forms. Before you commit to taking your car abroad you should make some “pre-flight” checks to ensure it is fit for its French future. Car wash: Cleaning up your car isn’t to impress the locals, if you’re hiring a car delivery to France transporter then you will want to know if anything happens to your motor while it’s being transported. Washing your car not only helps prevent scratches caused by dirt, it also makes it easier to notice any damage caused. Photoshoot: Unless you’re particularly attached to it, you might wonder why you’re getting your car to model for you. Well, documenting its condition will also help you to notice whether it gets damaged during its trip to French soil. Working order: If it’s going on the back of a trailer, your car doesn’t need to be running, but if it needs to be driven at any point, then you need to ensure your motor is roadworthy by getting an up to date MOT and checking for basic faults. Really there are only two ways you’re going to get a car to France, either by driving it or hiring a professional car transport to France firm. If you can think of another way then we’re all ears. Road trip: From the UK driving to France is really simple, getting the ferry from dover to Calais is usually the preferred option, but you can also take the Eurotunnel; neither will set you back more than £50. This is a great option if you’re only vacationing in France, but isn’t really an option if you’re already there and importing a car. Trade Plate Service: If you want to import a vehicle to France and can’t drive it personally then you can hire a driven car delivery to France service to bring it to you. Using trade plates, the service can bring the car to you, which can be convenient if you find a driver who needs to go to France anyway. Towing/Trailer: Hiring a car transporter to carry your vehicle across the channel is possibly the most expensive method of shipping it, but also one of the most secure – this allows you to be more picky and request covered transport. Shipping: When going from the UK many car transporters opt for a ferry from Dover to Calais, most employ a roll-on roll-off format which is just as it sounds. Alternatively you could opt for containerised shipping, which secures your car in a shipping crate either by itself or with other vehicles. This method is recommended for valuable or non-roadworthy imports, but could be unnecessarily expensive for a regular vehicle. 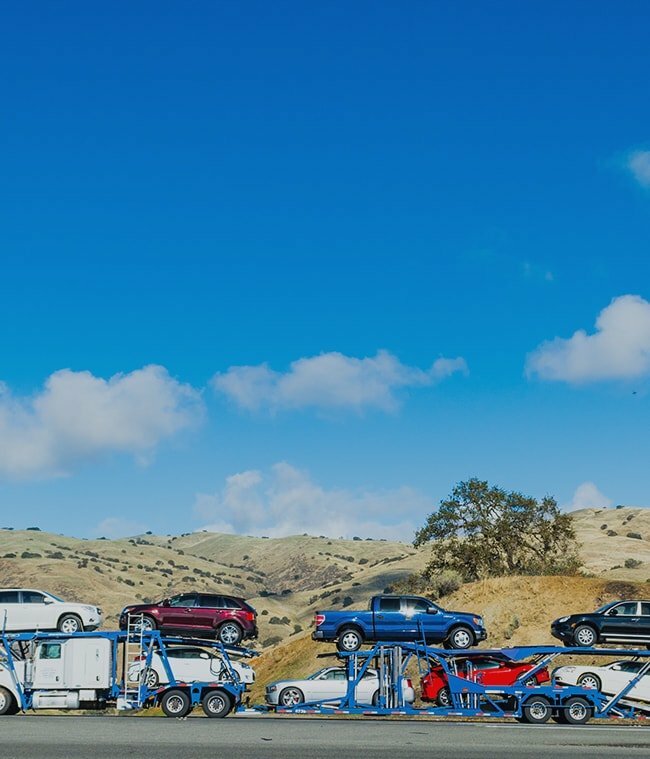 Finding and comparing European car transport companies can take a great deal of time, especially if you’re looking at many different potential types of transporter. If you do decide to hire a transporter you could save lots of time looking for quotes with us. By listing your car transport to France request on Shiply we bring car transporters to you. So if it’s a Bentley to Bordeaux or Mini to Marseille, simply upload the details of your French car move to Shiply and any available car transport company will be able to quote you a price. If you find a driver that’s already planning a trip to France then you could save a bundle. You can compare transporters based on their price and feedback to make sure you get a reliable service, not just a cheap one. Check it: If you used a car delivery to France service then it’s important to give your vehicle the once over to make sure it has not suffered any damage during its trip – refer back to your photos for an easier time proving any scratches. To import your car for more than 6 months you will now need to register it. Now you are free to explore some of France’s roads, such as the picturesque route from Evian to Nice through the Alps. After you’re happy with your French car, please leave some feedback for your Shiply transport provider, this will help them improve their own service as well as help other users looking in the future.